There are no comments for Arctic Three-toed Woodpecker Audubon Birds Of America 1st Edition 1840 Octavo Plate 268. Click here to post the first comment. 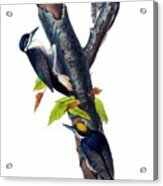 Professionally restored antique print titled Arctic three-toed Woodpecker by John James Audubon from The Birds of America royal octavo first edition (1840). 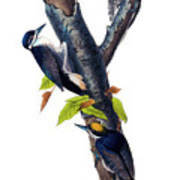 This pretty fine art print is derived from a professional high resolution scan of the original hand-colored lithograph. The print was in fair / poor condition and needed many hours of restoration work. The restored print retains the same color, vibrancy and sharpness as the original had when it first produced. Title: Arctic three-toed Woodpecker. 1. 2. Males. 3. Female. (Plate 268) Artist: John James Audubon, Restoration by Orchard Arts. Date Created / Published: 1840-1844: New York City, NY. Philadelphia Pa. Work Title: The Birds of America from drawings made in the United States and their territories. 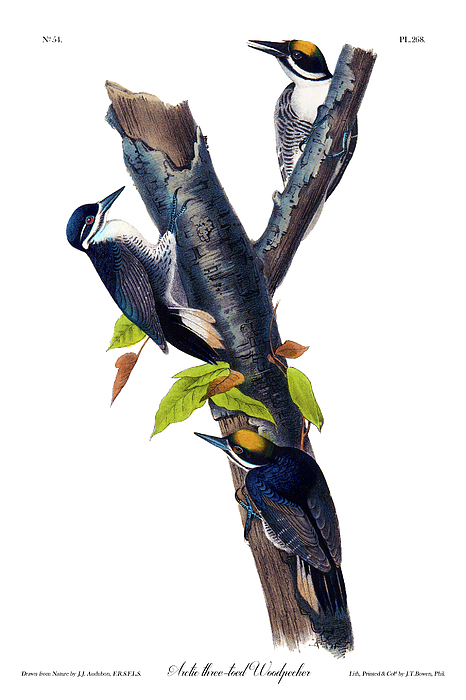 By John James Audubon, F.R.SS.L. & E At Orchard Arts we have over 10 years experience doing museum quality restorations of negatives and prints.